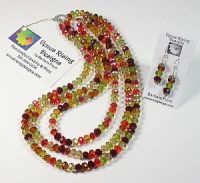 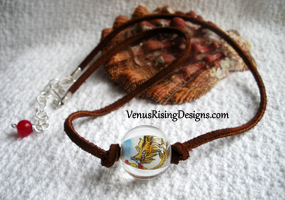 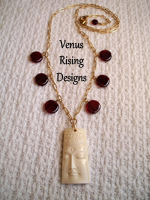 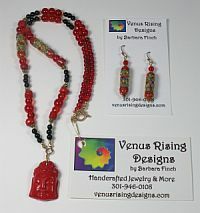 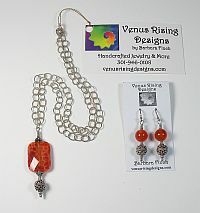 I offer necklaces in a variety of styles, lengths, and materials. 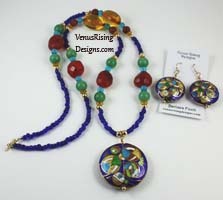 I love to use semi-precious gemstones, Swarovski® crystals, vintage, lampwork, pearls, and Czech and Indian glass. 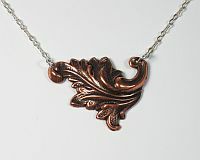 Most pieces are made using gold-filled or sterling silver.